We are excited to announce that we had recently obtained a 5-Star review of our NanoSound DAC from the official Pi Magazine Issue 66. This little 5-stars means a lot to mean and thank you everyone for all the support all the way. We will continue to work on improvements and new items for coming releases. 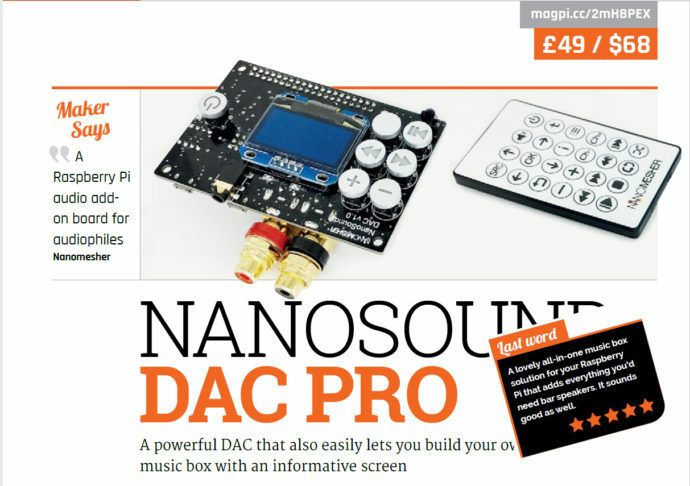 Apart from NanoSound DAC, our very first item ‘Nanomesher Programmable Raspberry Pi Power Switch” had also received a 4-star rating on the MagPi Issue 65.